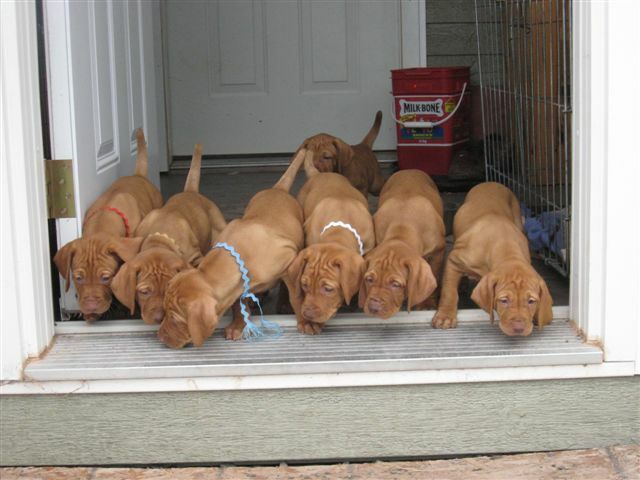 Brig is our boy from Stella's first litter, a real charmer like his daddy Romeo. He was born on Sept 7, 2008 along with 7 littermates. He is a sweet boy with very nice movement and conformation. 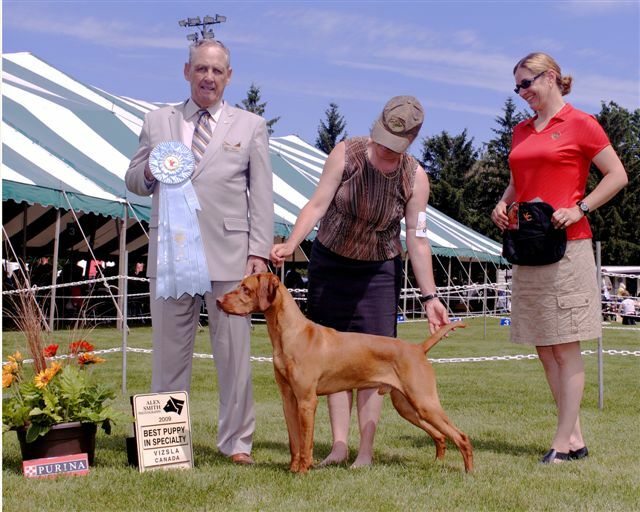 He finished his Canadian Championship at 9 months, mostly owner handled. 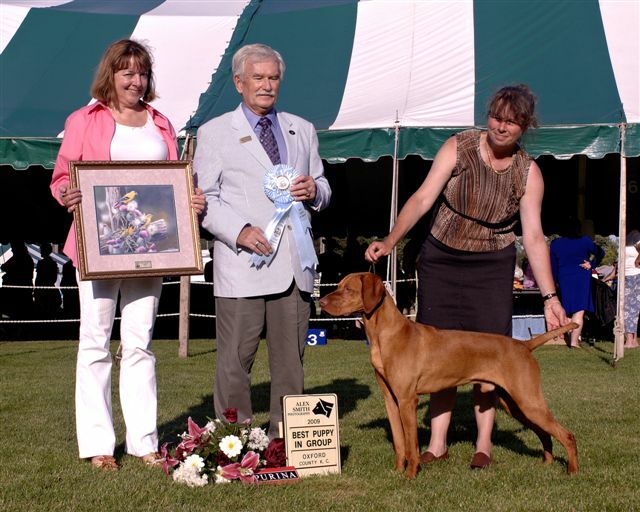 Under the excellent hand of Deanna Ross, he earned Best Puppy in Speciality Show and also a Best Puppy in Group in Woodstock, Ontario. 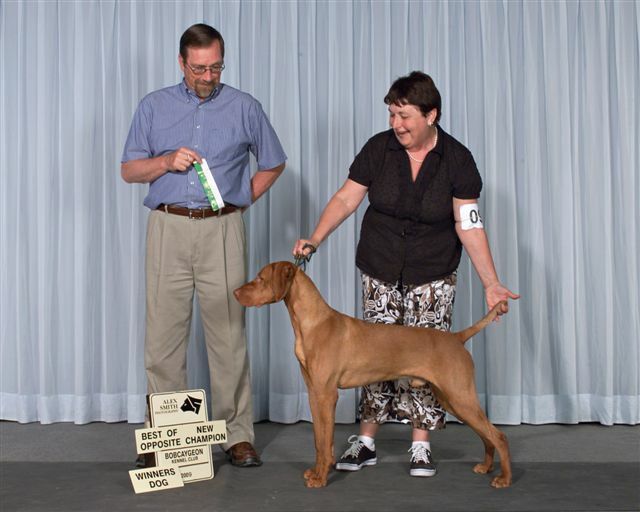 He began field training with Liz Outram in the Spring of 2010, qualified for two legs of his FDJr title, then finished up in fine style the following year. He is a very intense boy in the field. 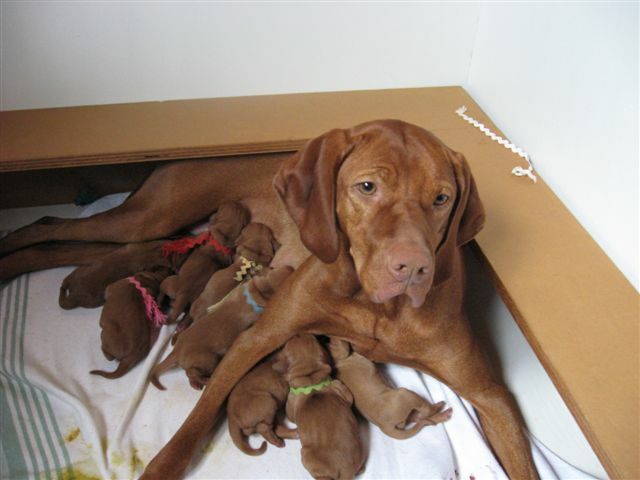 Brig is a proven stud dog, producing 6 pups with Cali, his first litter. 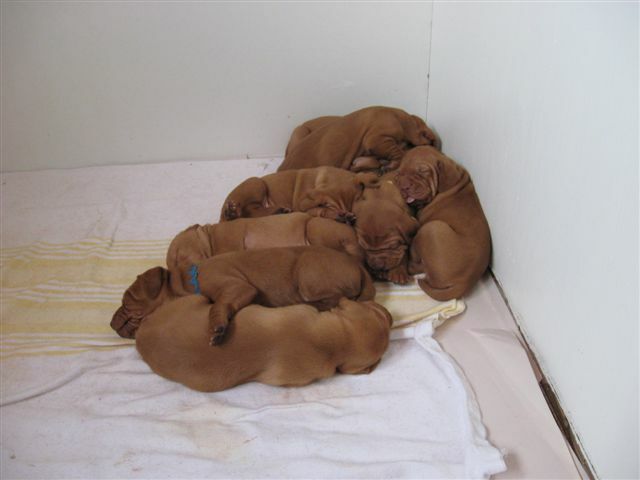 Photos: Stella's first litter 2 days old, puppy pile and 1st day going outside.